1,000 tons of TNT or a bass? 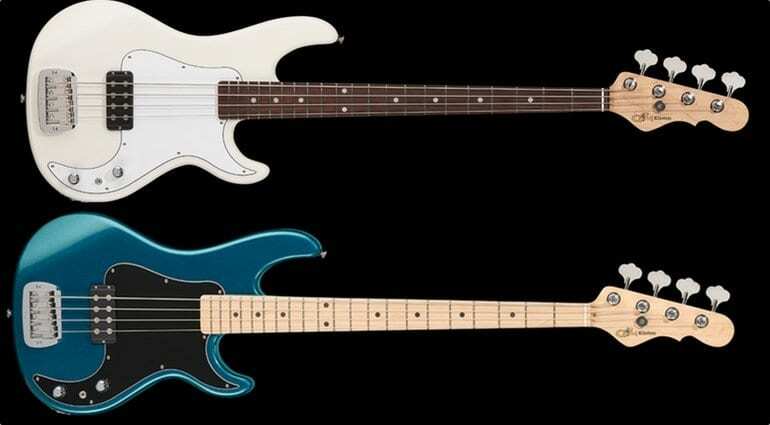 Kiloton bass is a brand new model from US-based company G&L. It has a lovely, simple layout, is powered by one humbucking passive pickup in the bridge position and is named after a Kiloton TNT explosion! The look is very clean and pared down. The layout is simple, with a knob each for volume and tone controlling the single G&L ‘MFD’ humbucking pickup in the bridge position. 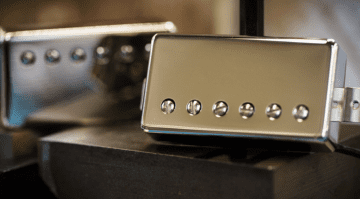 There’s a 3-way series/split/parallel mini toggle switch for that one pickup, so plenty of tonal variations on offer from one humbucker. Expect a bright punchy tone from this bass, with plenty of output from its passive design. I was particularly impressed by that huge bridge, which looks very substantial and could probably survive a TNT explosion itself! 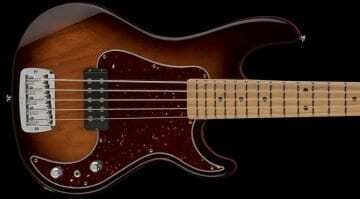 The Kiloton has either an Alder or Swamp Ash body depending on the finish, with the Swamp Ash being used on the versions with a clear finish. The necks are Hard Rock Maple with either a Maple or Rosewood fretboard with 21 medium jumbo Jescar frets. That odd-shaped headstock has four custom G&L “Ultra-Lite” aluminium tapered string posts. Body and neck are joined very securely with six bolts and I cannot imagine you would get any movement with such solid construction. That’s a pretty much bombproof design. G&L make high-quality instruments designed and built in the US. The Kiloton is definitely one to check out in my opinion. 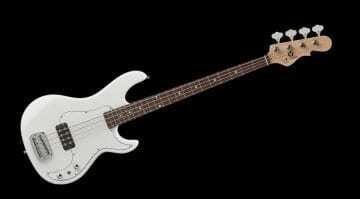 The fact that the company was formed by a certain Mr Leo Fender and George Fullerton of Fender fame is a good indication of what to expect here. 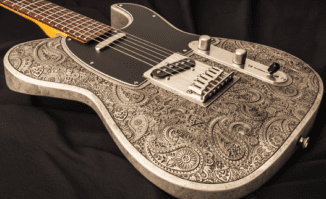 I love the look, though I’m sure some may be put off by it not being a Fender (or a Musicman…). Well, don’t be, as I’d imagine this bass will be every bit as good as both of Leo’s old companies outputs.